Some people appear to be considerably younger or older than their chronological age. Genetic signatures that may help explain this have been discovered by scientists at the Salk Institute. The age-associated genetic patterns were found by analyzing skin cells from people of various ages, according to a study by Salk Institute scientists. 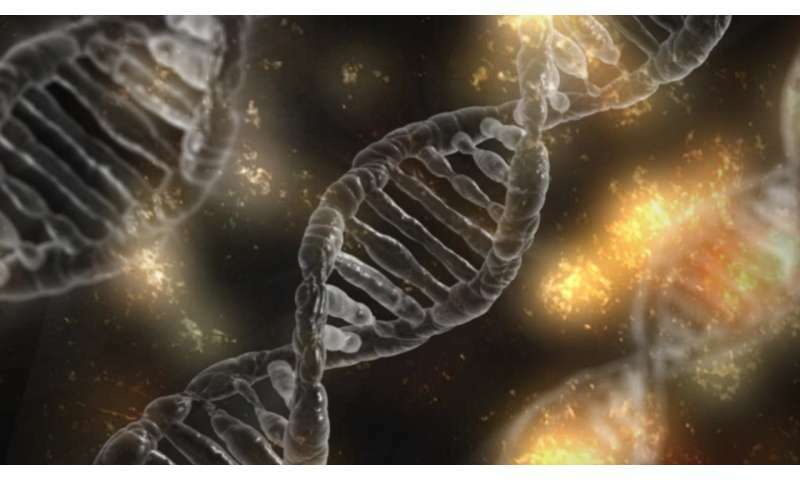 Researchers then applied the results to detect genetic signs of accelerated aging in people with progeria, a disease that causes patients to appear far older than their chronological age. With further research, the machine learning method could be broadened to detect when people are aging faster than their chronological age, said Saket Navlakha, a senior author of the study. This could be used to treat people at risk for age-related conditions, or advise them to change lifestyle habits before diseases occur, he said. Such clinical applications could be ready in as soon as five years, Navlakha said. To help other researchers, the scientists have made the machine learning algorithms and underlying data public. The study was published Dec. 19 in the journal Genome Biology. Navlakha said the project began as a conversation in the Salk Institute courtyard between him and Martin Hetzer, the other senior author. "Martin said we should talk about some of this new data they are collecting on aging," Navlakha said. "Martin has been working in the aging field for a while, and I'm a computer scientist interested in developing machine learning algorithms to analyze biological data sets." The two brought in another Salk scientist, Jason Fleischer. They set up the project to examine the data without presuppositions about where signs of aging might be found, Navlakha said. The outcome was a "black box" prediction for age. It found the age-related genetic changes but without explaining why they were important. They did this by examining all the RNA molecules in the cells. RNA is produced or transcribed from DNA; genes that are inactive don't make RNA. So by noting which RNA molecules are present or absent, the status of the corresponding genes can be deduced. This process was performed on cells taken from 133 people, aged 1 to 94. Researchers used skin cells called fibroblasts, which are easy to collect. Putting the data into a machine learning algorithm extracted patterns of gene activity that lined up with increasing age. Using these biomarkers, the team was able to predict a person's age with a median error of four years. To verify that the molecular signature was real and not an artifact or coincidence, researchers then applied the machine learning process to the genomes of 10 people with progeria, from ages 2 to 8. These were predicted to be about 10 years older than their chronological age. Next, researchers plan to examine the age-related genetic activity of other cells. And they also plan to peek under the hood of the black-box machine learning algorithm, to determine how the age-related changes line up with biological processes. Other researchers on the paper were Roberta Schulte, Hsiao H. Tsai, Swati Tyagi, Maxim N. Shokhirev and Ling Huang of Salk; along with Arkaitz Ibarra of Molecular Stethoscope, a San Diego biotech company. The work was funded by the National Institutes of Health; the Keck Foundation; the NOMIS Foundation; and the Pew Charitable Trusts.